Set in a time when neither divorce nor gay marriage were an option, Effie Gray is the story of a young woman coming of age and finding her own voice in a world where women were expected to be seen but not heard. The movie, starring Dakota Fanning, explores the roots of sexual intolerance, which continue to have a stronghold today, while shedding light on the marital politics of the Victorian era. 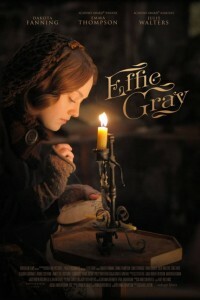 Watch the Effie Gray trailer.